Your bright, curious sense of self can shine in a way that others simply can't ignore this Monday. As the Sun is conjunct Venus in cerebral Gemini, be sure to convey your communication talents for all to see! Don't get caught off-guard in this week of unexpected events! See what lies ahead with a Timeline Tarot reading now. On Thursday, sticking to your guns might not be so easy. While you might be holding on to a point of view for dear life, it'll feel impossible to convince others to get on your mental bandwagon. You can thank Mercury opposite Mars Retrograde for that. Come Sunday, there could be an unexpected romantic opportunity in the mix! Venus and Uranus will be at a friendly angle, allowing you to make the most of unusual love or financial prospects. 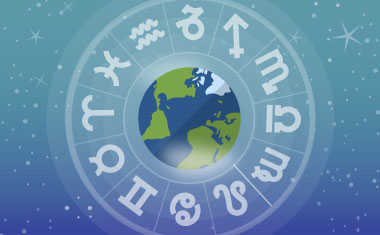 Mercury enters Gemini on the same day, and until June 29, mental stimulation will be everywhere!